New drivers have a much higher risk of crashing than more experienced ones. After 12 months of driving, new drivers almost halve their initial crash rate and their safety continues to improve for several years after licensing. Changing lanes and merging or diverging. Being hit by a right turning vehicle. Monitor speed and adjust to traffic conditions and the road environment. Don't go beyond your limits or the car limits. Don't assume another driver will give way. Slow down before entering intersections. Choosing a safe gap in traffic when turning and merging. Encouraging safe behaviours is an important part of your work with your learner driver. All five are potential killers. Make sure your learner understands how dangerous these are and the importance of driving within the law. The risk of a casualty crash approximately doubles with each 5 km/h increase in speed on a 60 km/h road, or with each 10 km/h increase in speed on 110 km/h roads. Increases your chances of being involved in a crash. Means you have less time to react to avoid a crash. Takes longer to stop the vehicle to avoid a crash. Increases the severity of injury in a crash. The distance travelled once the brakes have been applied. 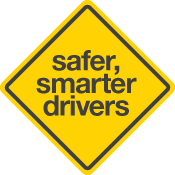 Your new driver will be safer if their car has a 4 or 5 star ANCAP safety rating from ANCAP. If you're buying a used car - check the Used Car Safety Ratings Buyer's Guide. Make sure their car is roadworthy. That means it meets vehicle standards including wheels and tyres, steering, brakes, seatbelts, lamps and reflectors, exhaust and emission controls, windscreens and wipers, vehicle body and chassis. Read more on roadworthiness. All vehicles must be registered. In South Australia this means paying for registration plus a Compulsory Third Party (CTP) Insurance fee. The CTP premium covers you if you are at fault in a motor vehicle crash and cause someone else to be injured or killed. You can also insure the vehicle with a private insurer for Third Party Property Insurance or Comprehensive Insurance.